NEMNU meets the third Monday of every month. 3.19.19 Greenlight Fiber-optic internet is coming! Greenlight is installing service in the NEMNU area! stay tuned for details! 9.27.18 NEMNU Annual Holiday Lights Contest. 9.27.18 NEMNU Annual Holiday Party. Our Annual NEMNU Holiday Party will be Friday December 7th at 48 Maxson Street. The party starts at 7:00pm. Please bring a dessert or drink to pass! Please RSVP to Yvonne our Vice-President at 473-8656. This is a great way to catch up our meet new neighbors! 7.24.18 NEMNU Annual Summer Picnic. Our Annual NEMNU Summer Picnic will be Saturday July 28th at 578 Cedarwood Terrace. The party starts at 3:00pm. Please bring a dish or drink to pass! Please RSVP to Yvonne our Vice-President at 473-8656. This is a great way to catch up our meet new neighbors! 4.14.18 Announcing the North Winton Village Association Annual Meeting. The Annual Meeting for North Winton Village is at St Johns Church at 553 Humboldt Street on Friday April 20th at 7:00PM. We will have several different city representatives present at the meeting. We hope to see everyone at the meeting! 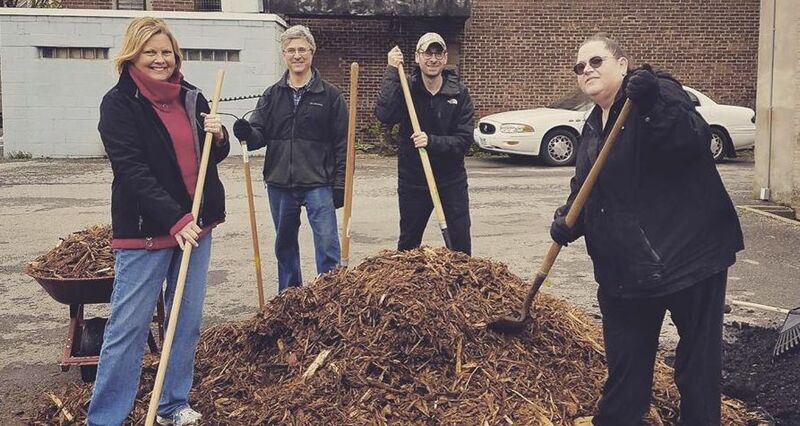 4.11.18 Rochester Area Clean Sweep is on May 5th! The Annual Rochester Clean Sweep is on Saturday May 5th! Please bring tools and friends to help clean up and beautify our neighborhood. Email us at NEMNUROC@gmail.com for more details. We will be meeting at the corner of East Main and Hall Streets at 9:00AM. We hope for a large turnout this year to clean up winter's mess and to welcome spring. We will be mulching, filling in mud holes, cleaning up litter, cutting back old plants to get ready for new ones, and installing all of our new flower pots throughout the neighborhood. 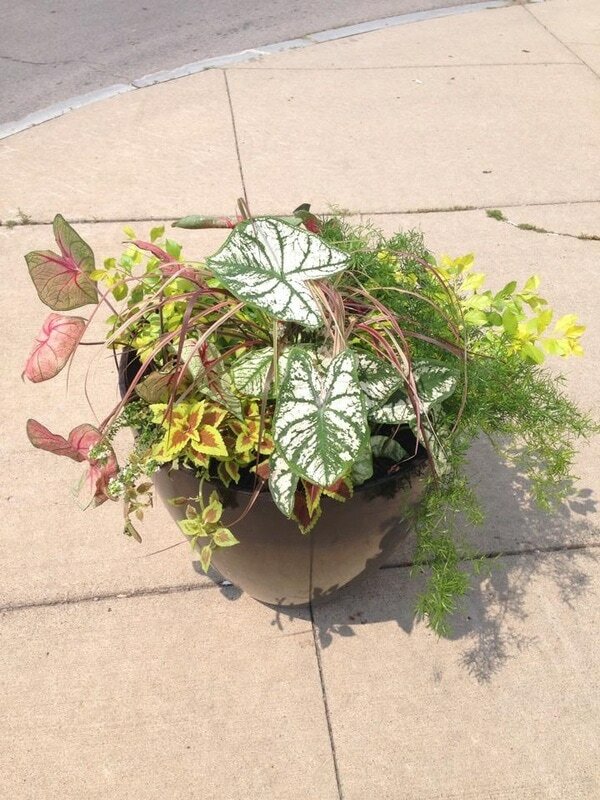 This will be our third year for "Adopt a Pot" and are looking for interested individuals to help maintain and add flowers to them as well. Please let us know if you would like to join us on May 5th! 9.20.17 We are looking for Volunteers and Board Members! 8.2.17 NEMNU Annual Summer Picnic! 5.5.17 Greenlight Networks Fiber Optic Internet! You asked for it and you got it! Greenlight Networks is now taking orders for Maxson Street in NEMNU! Click here to get on the list and your street could be next! 4.27.17 North of East Main Neighbors United is proud to sponsor a neighborhood open house of the East upper and lower schools on Saturday, April 29, from 10:00 a.m. to 2:00 p.m.
Thursday, April 27, 2017 at 7:00 p.m. St. John the Evangelist Church 553 Humboldt St.
Rochester's Clean Sweep will be held on Saturday May 6th. Please consider joining in the days events. NEMNU will be meeting at 9:00AM on the corner of Hall Street and East Main Street. We will be tending to our garden beds, cleaning litter throughout the NEMNU area from this past winter,and mulching. If anyone has any plants and shrubs that they would like to donate for our garden beds or pots please let us know! We really need as many volunteers as possible to clean up our area and make it look great after the winter. ​We hope to have a large turnout from our NEMNU neighbors as we need to transform our area! If you have any tools like rakes, shovels, or even garbage bags you would like to use. Please bring them with you! Do you have questions or concerns? Please respond to this email and we will answer whatever questions or concerns that you have! 1.13.17 North Winton Village remains one of the safest neighborhoods in the city of Rochester. Rochester Police Department Officer Brian Cannon provided the following statics for car beat 235, which covers North Winton Village. Total crime and most individual crimes were down in December vs. the rest of the quarter. For perspective, the neighborhood has a population of over 10,000 people, or more residents than Brockport, the largest village in Monroe County. NEMNU is part of North Winton Village. Go to our Triangle page and click on the links for comprehensive information about our neighborhood. Going into our sixth year in 2017 we have a great opportunity to stand with one another as one and continue to improve our already great neighborhood socially, economically and physically. We have all the same information as before with a new look. We also hope to be adding more information in the coming months. 11.14.16 Annual Holiday Party and Lights Contest. 11.10.16 Statement on the Burning of Pride Flags in the Neighborhood. As you may have heard on social media, print, or on television, there were at least two acts of arson this week in our North Winton Village neighborhood. Not only was this arson, this was also a hate crime. At least two Gay Pride Flags have been burned off while still attached to neighbors' homes. Confirmed are one on Atlantic Avenue and one on Marion Street. As a neighborhood, we will not tolerate hateful acts towards our fellow neighbors. We will also not tolerate any kind of property crime in our area. North Winton Village has had a proud history of supporting and looking out for one another in times of need. We are all neighbors, and many of us are also friends. That is what makes us strong and the best neighborhood in Rochester — not because we always agree, but because we all want the best for our neighborhood and our neighbors. There have been many neighbors and friends who have reached out asking what they can do or how they can help. If you have a flag or choose to purchase one, display it and show we stand united against hate and crime in our neighborhood. 7.12.16 The Triangle Of North Winton Village Announces New Logo Design! ​6.23.16 Become a NEMNU Member. It's Renewal Month! Go to the get involved page more more details! 6.20.16 Announcing The Celebrating 5 Years Neighborhood Picnic. Sunday August 13th, 2016. 4.5.16 Cedarwood Eviction Statement from NEMNU. Today there was breaking news from Cedarwood Terrace about a formal eviction that took place. There was video footage of protesters and police getting into heated exchanges and there was ultimately physical contact between both parties and arrests made. At this time NEMNU is not ready to comment on who was right or wrong or the exact events that took place today without a full investigation taking place. 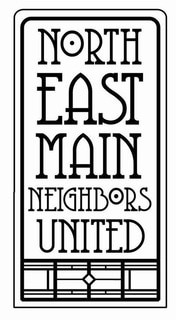 ​2.10.16 North of East Main Neighbors United's Stance on Home Leasing Project in the EMMA Neighborhood. NEMNU and North Winton Village supports the EMMA Neighborhood Association in opposing the development of apartment units on East Main Street at this time. NEMNU favors investment in the neighborhood's existing home stock and storefronts before any new construction occurs. 2.9.16 900 Culver Road Update. We have learned that 900 Culver Road is on track for completion by the end of July 2016 with occupancy in August 2016. During construction if you see any uninvited guest please contact 911 immediately. The RPD does have patrol watching the building. Since 2011 the North of East Main Neighbors United mission is to maintain, improve, and enhance the quality of life in the neighborhood by addressing safety issues, providing social activities to unite neighbors, communicating with residents and local government, promoting beautification projects, linking needs with resource opportunities, and developing cooperative efforts with businesses and neighborhood groups. Stay informed! Check out our resources page. NEMNU is looking for people willing to share their time and talent with the neighborhood. 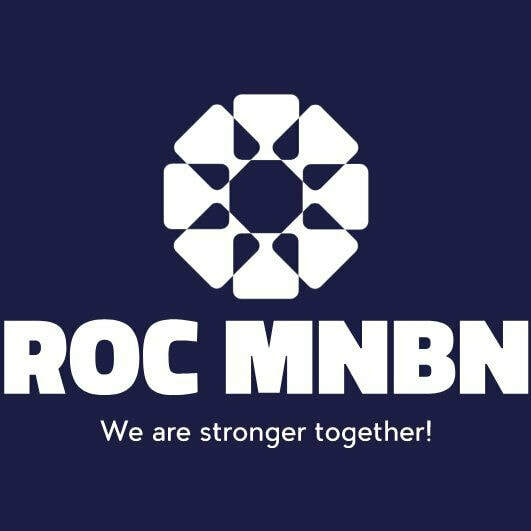 If you are interested in volunteering for various events and activities please email us at NEMNUROC@gmail.com. We are The Safest in Rochester! Copyright © 2019 North of East Main Neighbors United Neighborhood Association All Rights Reserved.